Few places in the world provide world-class service amid stunning natural vistas the Punta Mita way. Tucked within a 1500-acre private peninsula in the Riviera Nayarit, just an hour north of Puerto Vallarta, Punta Mita is where idyllic tropical getaways come to life. If you’re seeking a place to unwind that also offers countless outdoor adventures, browsing vacation rentals in Punta Mita is a brilliant first step. One of Mexico’s ultra-exclusive resort areas, the beaches, jungles, and mountains of Punta Mita are second to none. Punta Mita stays gloriously warm and dry most of the year. The region is a balmy 81.5 degrees throughout the summer, and 72 in winter. June through September is considered the rainy season, but visitors can expect sunny days accompanied by evening thunderstorms that typically clear up by early morning. 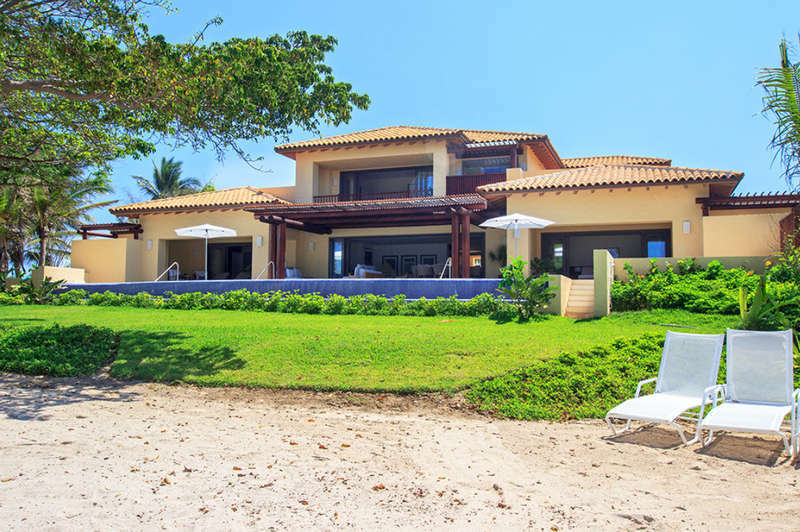 Overheating is not an issue, even during the hotter months, as gentle sea breezes keep the tropical climate comfortable year round, making vacation rentals in Punta Mita ideal. 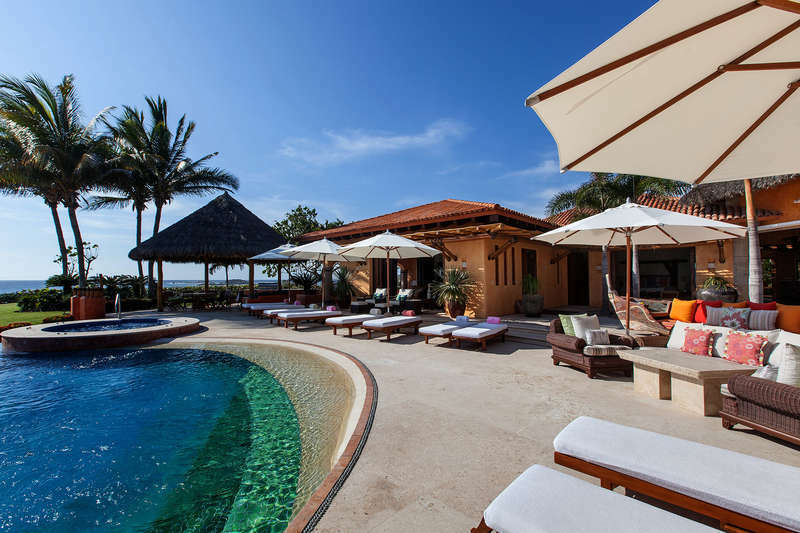 Choosing from luxury villa rentals in Punta Mita means the opportunity to explore 25 miles of magnificent beaches overlooking the coastline along Mexico’s deep-blue Pacific. Many beaches are secluded and only accessed by boat, but don’t be discouraged—the tours are worth it. Other beaches are only accessible by car, and you can rent one from Puerto Vallarta for flexibility's sake. The Marietas Islands are known for a "hidden beach," reachable only by swimming through a cave and venturing onto a sandy bank inside a crater—with a breathtaking view of the open sky. Truth be told, there is a beach for every taste in the region. If you’re a surfer, head up the coast 20 minutes to Sayulita, a popular bohemian town and fishing village with perfect waves. Punta Mita is a water-lover’s paradise. Scuba diving, snorkeling and sailing are huge, and great diving is available no matter what your experience level. Water-skiing, parasailing, jet skiing, windsurfing, and kayaking are also par for the course. A few miles off the peninsula lies the Islas Marietas National Park, a series of low, volcanic islands uninhabited by humans, and recognized as a Unesco Biosphere Reserve. Underwater, you’ll find king angelfish, Cortez sea chubs, Giant damselfish, octopus, and sea cucumbers, to name a few. Seen near shore are sea turtles, dolphins, and Manta rays. During the winter, humpback and gray whales pass through on their migration from Alaska. Spectacular is an understatement. If you need a break from all the aquatic adventuring, there is plenty of land-based fun to be had too. Think day hikes, horseback riding, colonial tours, trips to the Sierra Madre Mountains, and tours via hot air balloons, jeeps, mountain bikes, and more. Not far from Sayulita, Monkey Mountain is another popular destination and the highest point in the surrounding landscape. The Huichol Indians considered the mountain sacred, and their clay figurines (the monos that give the mountain its misleading name) adorn the slopes. On your upward hike, you’ll encounter deer, wild pigs, and armadillos. 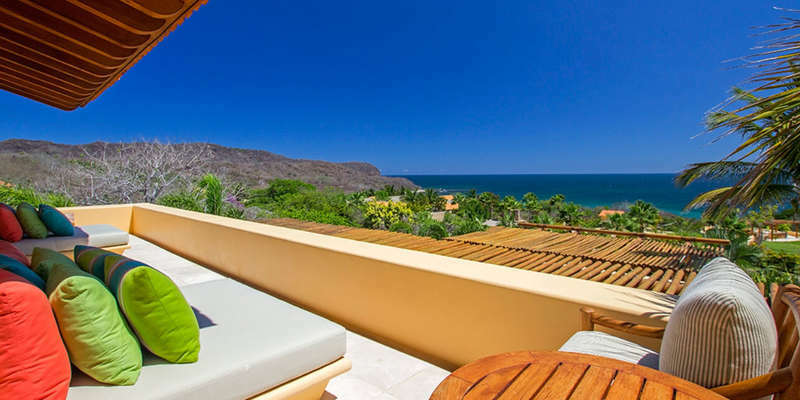 An incredible panoramic view of Banderas Bay is your reward upon reaching the summit. If you’re a birdwatcher, there are over 90 bird species to observe in Punta Mita. 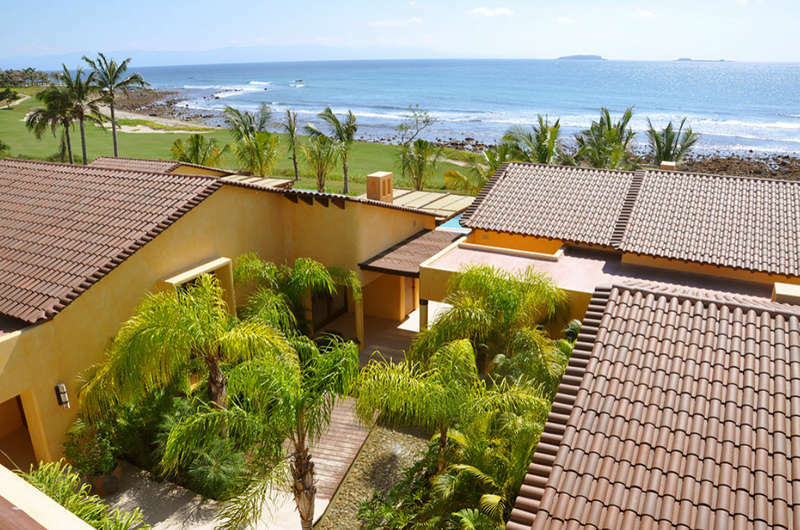 It’s truly no wonder that golfers from around the world vie for Punta Mita luxury rentals. The two Jack Nicklaus–designed golf courses are unparalleled. The undulating slopes of the championship Bahia course includes six holes and astounding ocean views, and the Pacifico course was referred to by Conde Nast Traveler magazine as the number one golf course in the world. Situated on 195 beautiful acres, it offers excellent play for every skill level, eight Pacific-facing holes, and a view of the migrating whales to boot. Dine out on fresh local fish with an Asian twist at high-end Aramara in the Four Seasons Resort. Or enjoy authentic Mexican seafood dishes at one of Punta Mita’s popular beachside restaurants. Tuna Blanca offers seafront views, simply grilled fresh seafood, and organic vegetables. In nearby Sayulita, you’ll find endless beach-side fish taco stands, fresh juices, churros trucks, and lots of cold, refreshing Mexican beer. The delicious local cocktail, Michelada, is a mix of Pacifico beer, Clamato juice, lime juice, and hot sauce. Your taste buds are in for a treat! Choose from our exquisite selection of luxury vacation rental properties, most of them situated beachfront. Got questions? 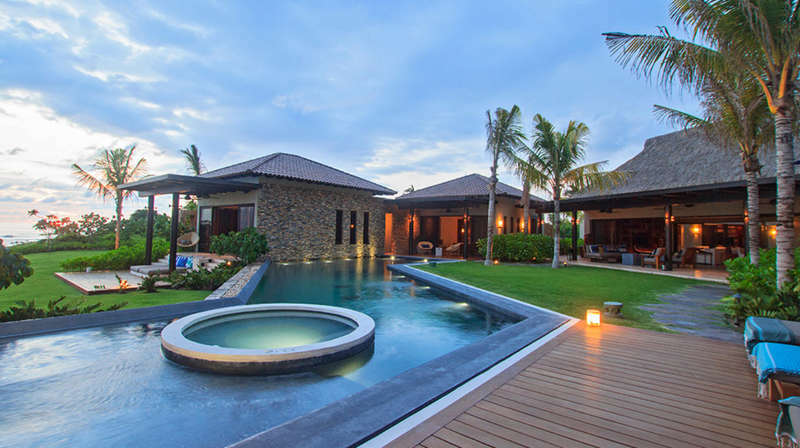 Our knowledgeable team would be delighted to guide you in the direction of the Punta Mita villa perfectly suited to your needs, like the Villa Tres Amores in Porta Fortuna, a popular destination among honeymooners, or Estate Marietas, which can lavishly accommodate up to 20 people and offers unprecedented access to that world-class golf. Get in touch today! Employees in the region live on their tips. Minimum wage in Mexico is about 62 pesos per day—that’s just over US $5 per day. Workers are very aware of proper tipping procedures and deserve to be tipped fairly. Here are a few general guidelines for tipping. Airport porters: 15 to 30 pesos per bag. Waiters and bartenders: 15 to 20% of the bill. It’s not customary to tip taxi drivers unless they assist with luggage, in which case, tip 10 pesos per suitcase.